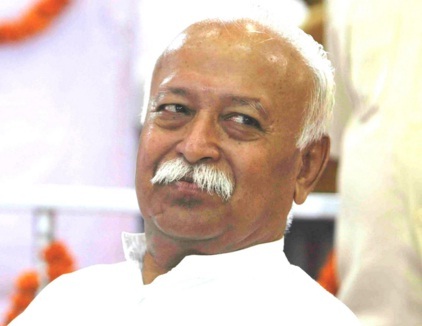 New Delhi: RSS chief Mohan Bhagwat has said that people should not be forced to chant the slogan -“Bharat Mata ki Jai”. A statement today by a BJP frontal organisation, quoting the RSS chief, said: “Through our conduct, we should build a great nation that should be hailed across the globe so that people voluntarily start saying “Bharat Mata ki Jai”. People should not be forced to say that. The RSS chief today doused the fire that was ignited by AIMIM leader Asaduddin Owaisi, who had turned down RSS chief Mohan Bhagwat’s suggestion that for the sake of nationalism, people should say Bharat Mata ki Jai. Speaking in Parliament, Owaisi had said he will not chant ‘Bharat Mata ki Jai’ even if a knife was put to his throat.